When it comes to wrestling, the key to success is creating strong characters and memorable storylines. It’s also about being talented at what you do and there are plenty of entertaining wrestlers in the WWE and on the independent circuit. But as good as the likes of AJ Styles, Shinsuke Nakamura and Kevin Owens are, it’s the women’s division that feels red hot right now. The hunger and passion on display is a throwback to the glory days of the Attitude Era and I’m looking into why the women’s division is currently outclassing the men’s in WWE. The comic book industry is built on collaboration, with writers and artists working together to create something magical. The same can be said for indie comic writers and bloggers, which is why The Comic Vault is open to promoting independent comics and graphic novels. 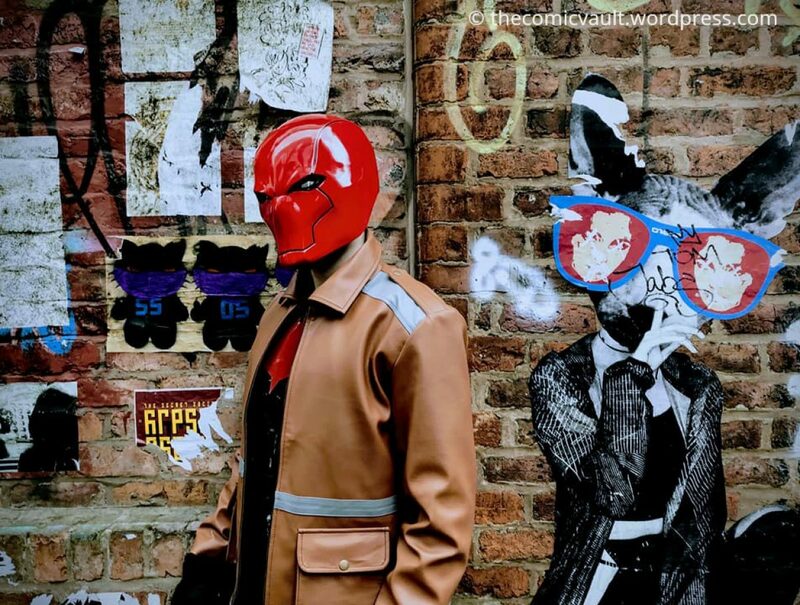 I’m pleased to reveal an interview with indie comic writer and pop culture website editor, Casey Bowker, who has created his first comic called Hollowed. He’s looking to get the series up and running through Kickstarter and he chatted to The Comic Vault about why he wanted to become a comic writer and how the industry has changed for independent writers. Instagram is a useful place for sharing photos and creating a sense of community among photographers and people who enjoy being in front of a camera. Cosplaying is very popular on Instagram, as you have the opportunity to show off your costumes and creative ability. There are a number of cosplaying group accounts on Instagram that help to promote cosplayers and their work. I think this is a great way to build links between other cosplayers and I’m listing five of the best I’ve come across. Every superhero needs an archenemy to fight against and form the conflict of memorable stories. Batman has The Joker, Captain America has the Red Skull and Iron Man has The Mandarin. Created by Stan Lee and artist Don Heck, The Mandarin is Tony Stark’s greatest foe. Through a mixture of science and alien technology, Mandarin has aimed to conquer everything in his path. In many ways, he’s a dark reflection of Iron Man in that he utilises technology to achieve his goals for a malevolent purpose. The character is known for using alien rings that grant him a variety of abilities and The Comic Vault is looking into Mandarin’s history to see what makes him such a memorable villain. In mainstream comics it’s common for a character to be updated for a modern audience in order to keep them interesting. Their backstory might be altered or they may gain a new ability. A character with a history of being altered is Hawkgirl. Created in 1941, Hawkgirl is one of DC’s oldest superheroines, and having served with The Justice League and The Justice Society of America, she’s a premiere hero, but her history and identity have become muddled. From Ancient Egypt to an alien planet called Thanagar, The Comic Vault is tracing Hawkgirl’s story to see what makes her such an intriguing character. The 1970s were a time of great cultural upheaval, from the Vietnam war, to the rise of disco. The decade provides fertile storytelling ground for Abbott #1, written by Saladin Ahmed. The comic features strong-willed reporter Elena Abbott investigating a case that forces her to confront her past. As a black woman in 1970s Detroit, Abbott faces a hotbed of racism and political change that tests her resolve and Ahmed makes sure she’s up for the challenge.